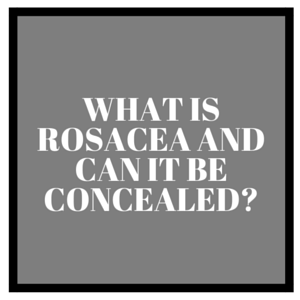 What Is Rosacea and Can It Be Concealed? Rosacea is a very common chronic inflammatory skin condition that is poorly understood. The condition gives the skin a flushed appearance and a major symptom is the development of spots. According to the NHS, 1 in 10 people in the UK may have Rosacea with people most commonly being diagnosed between the ages of 30 and 50. Stinging or burning sensations in the skin. Pus filled blister like spots. It is currently unknown what actually causes Rosacea but it is thought that factors such as having a reaction to microscopic mites found on the face and having abnormalities in the blood vessels of the face could contribute to the condition. It is also known that there are certain triggers which can worsen the condition. These are not direct causes however, stress, spicy food, hot drinks, alcohol & caffeine, strenuous exercise, exposure to the sun and hot or cold weather can all make Rosacea worse. Of course triggers does differ from person to person. Sadly there is no cure for Rosacea but there are a few ways that you can keep symptoms under control. You can avoid known triggers which cause your Rosacea to flare up and you can contact your GP or Doctor to discuss oral medication which can be taken to help clear severe spots and you can also talk about creams and gels which can help improve the skin condition. If your condition is severe, there are also laser and IPL (Intense Pulsed Light) treatments available which help to make visible blood vessels less visible by causing them to shrink. If you are looking for a product to cover, conceal and hide the facial redness of your skin whether you suffer from mild Rosacea or a more severe case, our product Veil Cover Cream is one of the best foundations for Rosacea as it is highly pigmented and therefore can easily conceal redness. Unlike many products that struggle to provide the skin with good coverage, Veil Cover Cream contains more pigment which makes covering skin conditions a much easier task. This also means that you will need to use less product, making Veil Cover Cream a truly economical option. 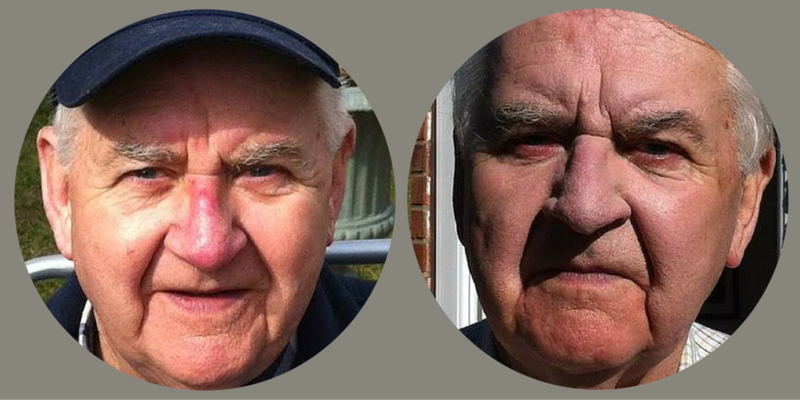 This is Mal, a man who suffers from Rosacea on his nose. Mal uses Veil Cover Cream to conceal and cover his redness and very kindly shared these before and after photographs to show the results of his cover up. Beauty blogger Talonted Lex also shared before and after results after trying out high coverage camouflage makeup Veil Cover Cream. Head over to Lex’s blog to see her results and to read what she thought of our product. UK based Talk Health Partnership have recently launched their Rosacea Hub, a place where people can share their experiences and knowledge to making living with Rosacea easier. Rosacea Support Group, an American based group that offers help and support. Head over to the NHS website for more detailed advice. Check out our blog for more Veil Cover Cream Rosacea cover up stories.